BOCA RATON PATIO PAVERS & TRAVERTINE DECK INSTALLATION FOR POOL REMODELS. 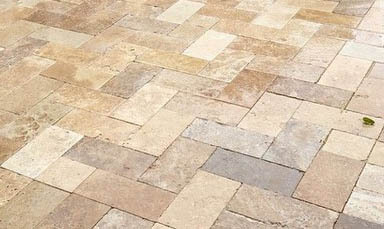 Travertine Pavers Concrete, Brick & Artistic Selections in Palm Beach County at affordable prices. In Boca Raton Florida, Is it better to go with brick pavers or travertine during a pool remodel? The use of travertine on pool decks has been around for many years now. It has been up and coming over the last decade and continuing to grow and popularity. 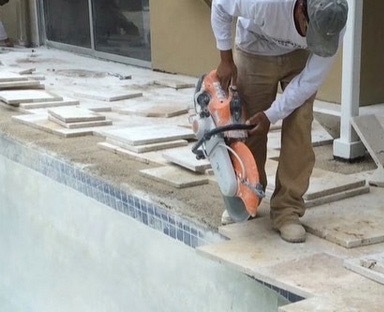 Travertine is now the go to option when remodeling pool decks, especially in south florida. Most homeowners around Boca Raton are choosing travertine pavers over the traditional brick pavers that used to be the most popular. 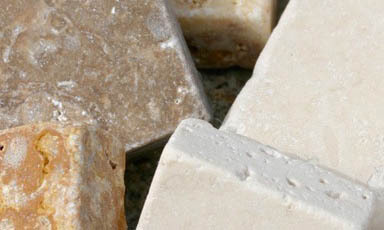 Because travertine is a natural occurring stone, it will not fade or change color like its counterpart, brick pavers. Travertine pavers are cool on the feet and can bring beauty to any dated pool area. Your home with travertine pavers Contrary to popular belief, remodeling can be easy! Travertine Pavers In Boca are in high demand for luxury homes with pools. What is travertine and why is it so popular? Brick paver installation and cost in Boca Raton. Here at Ross Services, we pride ourselves on top quality and service. We strive to make the project quick, easy, painless, and affordable! We offer competitive pricing and work quick and efficiently to keep projects on time and within budget. The first step is calling our office to schedule a free in home estimate. A member of our team will schedule a convenient appointment to inspect the project and provide an estimate. We have hundreds of pictures of completed projects to show and we come prepared with many samples so that you can make choices from the comfort of your home. Most of our renovations take no more than one week from start to finish!